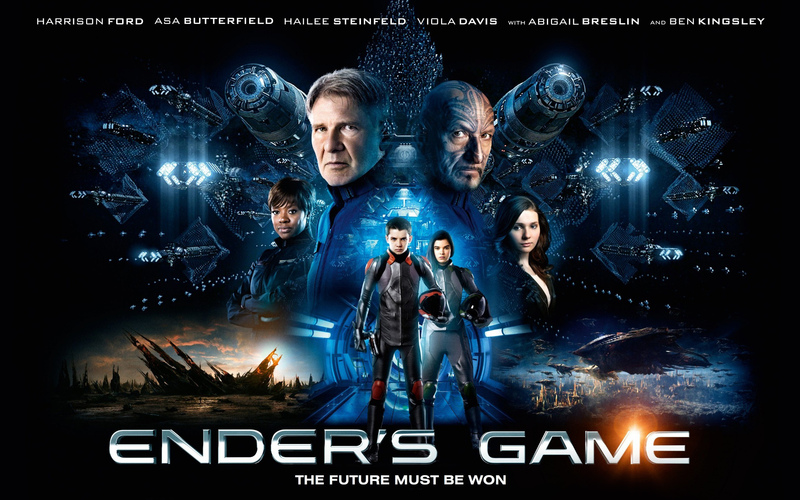 Ender’s Game – Yes, The Way Matters. The last quarter of 2013 is turning out to be an exciting time for us at LTBM. Some of the biggest blockbuster movies of the year are coming out. The movie I’ve been anticipating the most is finally out! If you’ve been following my reviews, you can probably tell that I love movies based off of books. Ender’s Game is a prime example of that. This book was written back in 1985 by Orson Scott Card and has been a favorite among sci-fi fans ever since. I first read it about 5 years ago and it has become one of my all time favorites books. As you might expect, my expectations for this movie were pretty high. Whenever a book is made into a movie, there are always some things that must be left out. We all know Peter Jackson tried to defy this fact, but even he failed. In the case of Ender’s Game, there were two major criteria that I hoped were fulfilled. First, the movie needed to follow the basic story line and secondly, it needed to look visually stunning. Before telling you whether it succeed or failed, I should give you a basic rundown of the story. It’s been 50 years since the Formic, an alien, insect-like race, invaded Earth. The Formic are narrowly defeated, but not before millions are killed and entire countries destroyed. Although the people of earth defeated the aliens, they fear that they will return. In preparation for their return, children are monitored from an early age. The hope is that they will find someone who will have the ability to lead Earth’s fleet against the Formic and defeat them once and for all. Colonel Graff thinks he has found the child they’ve been searching for, and his name is Andrew ‘Ender’ Wiggin. Ender, along with a dozen other recruits, is taken to battle school. This is a training facility that orbits Earth, where they will learn how to fight in space. The recruits attend classes teaching rocket science, tactics, hand-to-hand combat, and a myriad of other topics useful in space. But the most important part of battle school is the zero-G battle room, where teams fight against each other in order to better understand space combat. If they prove themselves at the battle school they will move on to command school and finally a leadership position in Earth’s space fleet. There are many moral questions raised in this story. The movie touches on some of them, but they are much better defined in the book. Several moral attributes are portrayed during the movie, such as compassion, love, and trust. But then there are some moral dilemmas; striking first to prevent an attack and doing whatever must be done in order to win. 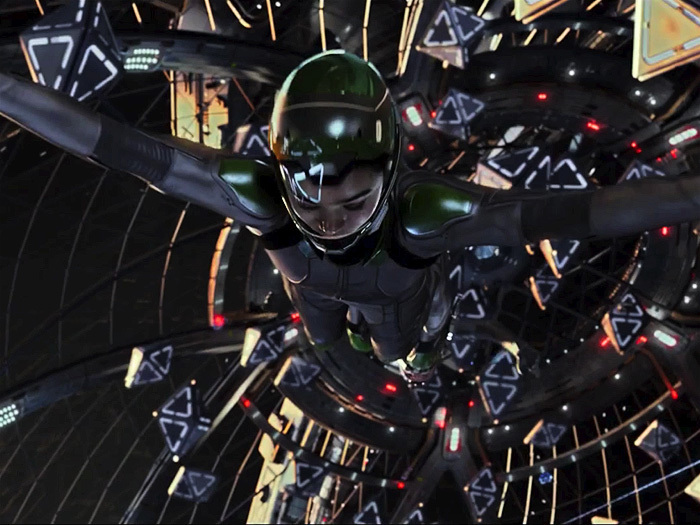 Throughout the movie, we see Ender’s compassionate side. He hates hurting others, but keeps finding himself in situations where he has to fight. Each time he is forced into that situation he doesn’t just defend himself, he fights in a way that will make it so he will never have to fight that fight again, even if it results in using brutal tactics. This is the very attitude that attracts Colonel Graff to Ender in the first place. Each time Ender gets involved in one of these situations, he ends up nearly killing someone and becomes less and less sure of his conviction that brutality is the best way to prevent future conflict. At the end of the movie, after Ender discovers that he has annihilated the entire alien homeworld, he goes into an emotional breakdown. All along he has been commanding the entire fleet, it wasn’t just training, it was real. In just a matter of minutes he has unknowingly destroyed an entire civilization. Is winning all that matters? Does the way you win matter? We see a stark contrast between Graff and Ender. Although they started out with the same understanding, as times goes on we see Ender mature and come to the realization that committing genocide against another race, doesn’t justify saving humanity. 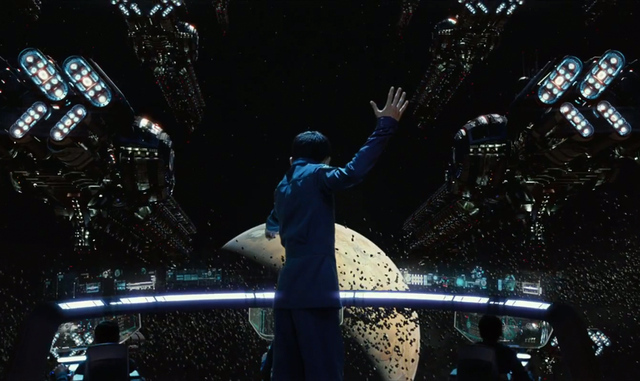 So did Ender’s Game meet my expectations? On the first point, overall the movie did a good job of following the story line. There were a few things left out, such as Peter and Valentine’s side story, but overall the main story arcs were hit. I would describe it as the cliff notes version of the book, not that that is a bad thing. As for the second point, the movie looked absolutely amazing. I loved the way they brought the book to life. The CG is awesome and I really like how they visualized the battle school. Overall, I wish they had shown more of the battle school skirmishes in zero gravity, but sadly there wasn’t enough time, which is one of my few complaints. The movie isn’t as long as I expected. There is zero downtime in this movie, which in one sense is a good thing but on the hand makes the story feel a bit rushed. I for one would love to see an extended version come out. If they had made it just 30 minutes longer, they could have fleshed out some of the characters and story lines a bit more. That would have taken this from a good movie, to a great one. 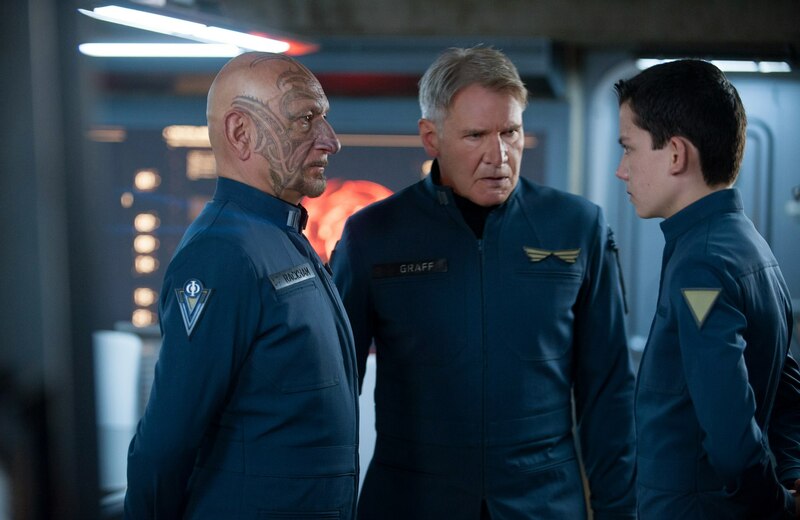 The cast was top notch, Harrison Ford, Ben Kingsley, and Asa Butterfield. In particular, I felt Asa did a great job of playing Ender. He portrayed the different emotions and attitudes of Ender very well. If you’re a fan of the book or of sci-fi, then this is a must see. If not, you will still most likely enjoy it. 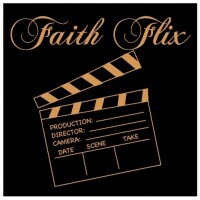 It’s action packed with great acting and visuals in addition to being thought provoking. The characters and story needed a bit more work, but overall I really enjoyed it. ← The Exorcist, The Scariest Movie of All Time? Agreed! I hope they release an extended version as well – I was really hoping for more of the 0G battles as well, particularly of Dragon learning and moving ahead. I was very happy to see they held the battle of the formation though! Battle school was definitely my favorite part and should have been longer. Cross your fingers for an extended version. Though I don’t think it will happen. Thanks for commenting.